Ms. Dendy is the Program Director for Community Cooks who is responsible for overseeing 800 volunteers who prepare food for vulnerable neighbors seeking assistance from human service agencies, students working to improve their lives in after school programs, and families struggling with food insecurity. Prior to joining Community Cooks, Dendy worked at Elizabeth Stone House as Director of Adult Programming, overseeing three of their programs. 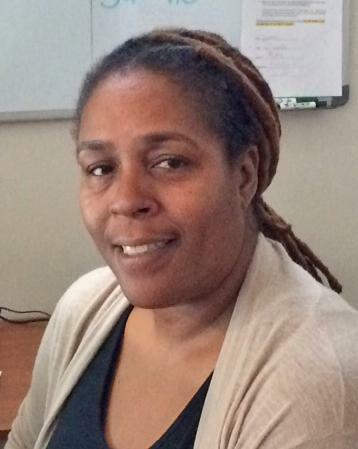 Prior to joining Elizabeth Stone House, Dendy worked at the Community Resource for Justice as the Director of the McGrath House, a program that serves female offenders referred by the Suffolk County Sheriff’s Department, the Federal Bureau of Prisons and the Massachusetts Parole Board. Throughout this transition Ms. Dendy has lived in Cambridge raising her children in a Just-a-Start community. Although there have been other housing opportunities in the last 10+ years, Ms. Dendy and her family continue to reside in that community because of the consistency and familiarity of neighbors.